Somehow I blinked and three years of marriage managed to fly by! Each year has been even better than the first and life with Gary is exactly what I had dreamed marriage would be like. I think if you know anything about me, you know I love weddings (thankfully my side business allows me to keep this love going)...so without getting sappy here, I thought I'd share some of my favorite things that we did for our wedding! This is a personal decision for a lot of couples, but knowing that we were going to be signing the Ketubah (you'll see this later) it made sense for us to have a first look and take all the group photos before the ceremony. I remember this moment like it was yesterday...coming down the stairs and holding back tears (barely... the ugly cry came out) Telling Gary that he could turn around and then seeing his face!! That moment is etched into my memory forever and I'm so happy that we had a first look! Traditionally after walking into the reception, the bride, groom & all the guests start dancing immediately to the Horah!! The chair lifting, everyone smiling & cheering - it's so much fun! Our Horah lasted close to 10 minutes! The look of pure fear on my face...makes me laugh! Gary and I looked at about 30 Ketubah's before finally seeing one that encompassed everything we wanted written. 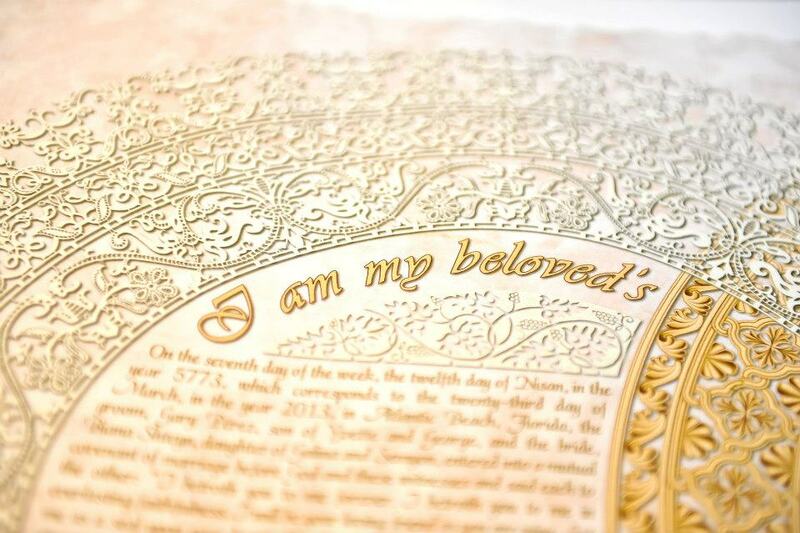 A Ketubah is signed before the actual ceremony & outlines the rights and responsibilities of the groom to his bride. It's more symbolic than anything else. It's a piece of art that is displayed with pride in a couples home...ours is still not framed!! AHHHH! On the must do list for this year!! 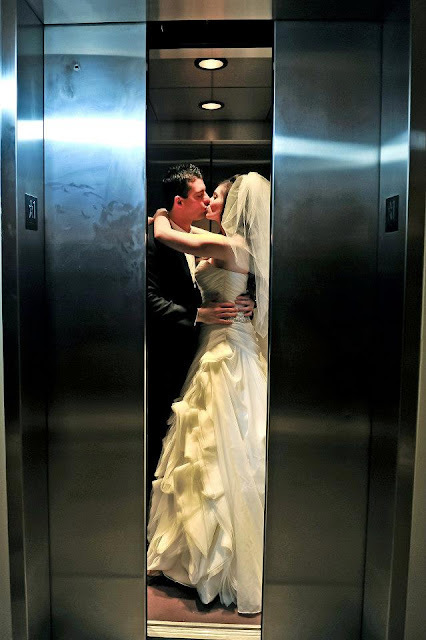 Pinterest was really taking off as I was planning my wedding and I remember this picture of a couple in an elevator and I really wanted to recreate it! I think we ended up riding up and down the elevator like 4 times to get it just right! To say any wedding is a labor of love would be an understatement. I was involved in every single detail of the weekend, from the rehearsal dinner to the brunch the day after - there wasn't one thing I didn't plan for...including torrential down pours on our wedding day!! That's why having a Plan B & C is needed haha! Here are a few of my favorite details! One of my favorite elements was that each table had a place in Boston that was special to Gary & I. We both designed the signs with original dates they were established and then for our sweetheart table had our home: established 2013! Everyone that came to the rehearsal dinner received a cake pop (chocolate from groom & white chocolate for the bride) & my favorite touch was the little stickers I ordered from Evermine. 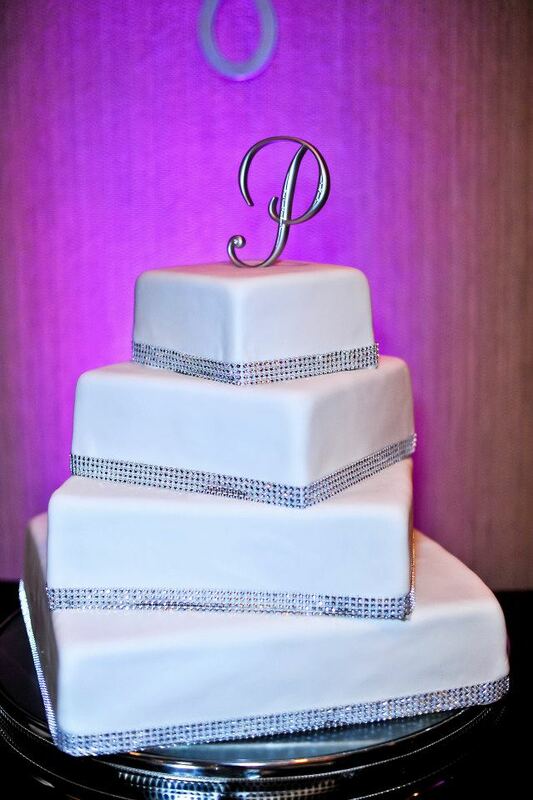 I actually sketched this cake out for pastry chefs at One Ocean Resort and they totally brought it to life. I ordered the crystals from Amazon and my mom shipped the top layer to us after we got back form our honeymoon. Gary may or may not ask me to take this little tidbit down, but every year on our anniversary we recreate our first dance! We talk about our year, we try to nail that dip & we do it with the same big smiles and laughs we shared on 3/23/13! Thanks for taking a look back with me!! Gary... thank you for being my my partner in life, my biggest champion & soulmate! What a very special day! You can see the love and happiness in all the pictures!!! I love that you guys do your first dance every year...that is such a sweet tradition. Most beautiful wedding couple! Happy Happy Anniversary!! 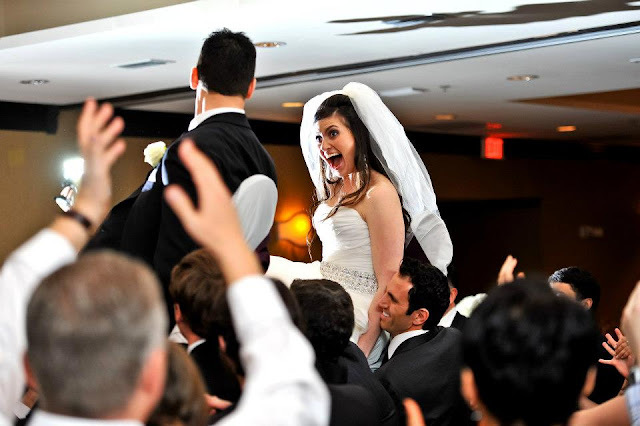 I love the elevator kiss and you radiate bliss in the first dance picture! The fact that you recreate it is fantastic and I hope you still are at 50 years of wedded happiness!! Aw happy anniversary! Such a beautiful wedding! I love the elevator kiss haha, I feel like there will definitely be a pin I'm dying to recreate when I get married. I love everything about this! Happy, happy anniversary to a beautiful couple! Here's to a lifetime of love and joy like you had on this day. Happy Anniversary to you! Those pictures are so sweet and you look absolutely beautiful! Happy Anniversary you two cuties!! The look on your face while you’re lifted in the chair is priceless! Happy anniversary!! I don't think I have ever seen any of your wedding photos and they are stunning! Every detail was gorgeous and I love that you guys recreate you first dance every year! So sweet! Happy anniversary!! Y'all are so cute together!! 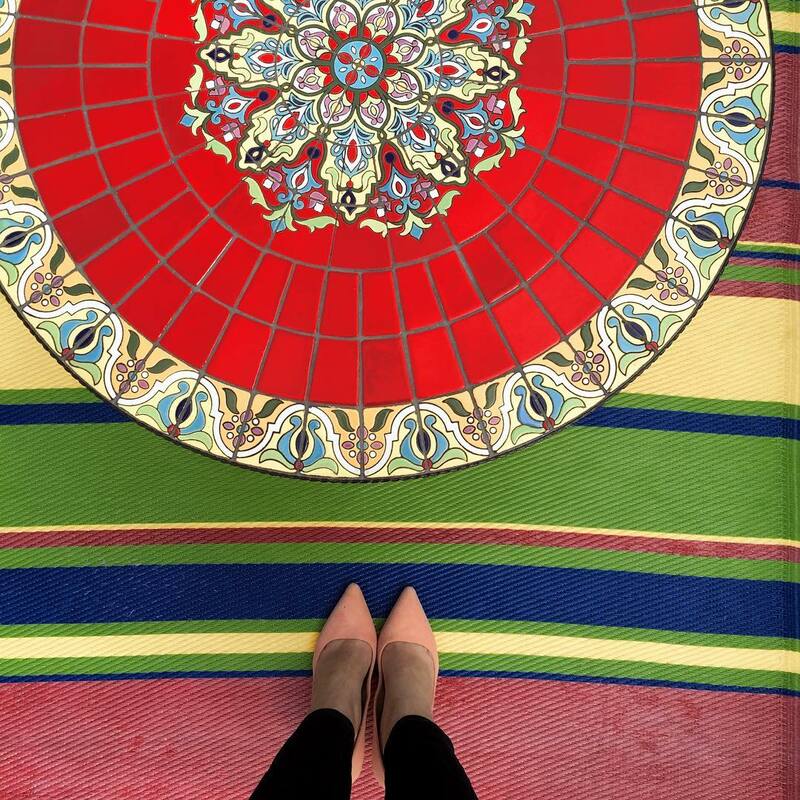 I loved reading about the details throughout the day and about traditions I'm unfamiliar with. Love it! Happy Anniversary!! What fabulous pictures to remember the special day. The elevator kiss is such a great shot! You were a stunning bride, Biana! This is the sweetest post!! Happy 3 years to Gary & you! You guys totally make marriage seem fun and exciting. 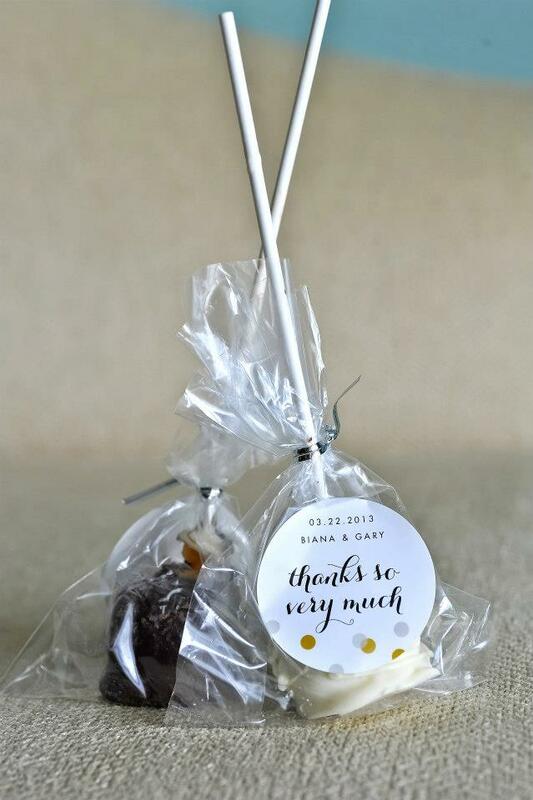 I love all the details of your wedding, the cake pops are such a sweet touch. It's so cute that you guys recreate your first dance each year, so cute! Have a blast celebrating girl! Happy Anniversary love! This post was so fun to read. You were such a GORGEOUS bride and the wedding itself looked beautiful! Happy Anniversary to you and Gary!!! You had such a beautiful wedding and those first look pictures are stunning, you can really feel the emotion from both of you. Happy 3rd Anniversary! Isn't it crazy how fast it goes?! We did a first look, too, and it was one of my favorite parts of our wedding (and still my favorite memory). Love all the pictures! Happy anniversary! What a sweet post...I love that adorable elevator photo, and it's so cute that you guys still do your special first dance every year! Happy Anniversary! You looked beautiful!! Happy, happy, happy anniversary sweet dear friend of mine. Your pictures are so wonderful and I LOVE the table names. We did the same thing and it felt extra special <3! AH YOU TWO - so cute! happy anniversary you guys! that first look - i mean i almost teared up just looking at that! Happy anniversary! What a special insight into your wedding! Cheers to many, many more! omg just cried at y'all's first look pictures!!! wow goosebumps! so many emotions captured in those pictures. That is my very favorite moment of our wedding day... I am SO GLAD we did a first look to have that special moment just us 2 before the craziness began! Happy anniversary! What a beautiful wedding, bride, and couple. Your first look looks so emotional and beautiful! And that elevator picture is adorable too :) congratulations on 3 years and cheers to many more! Happy Anniversary! 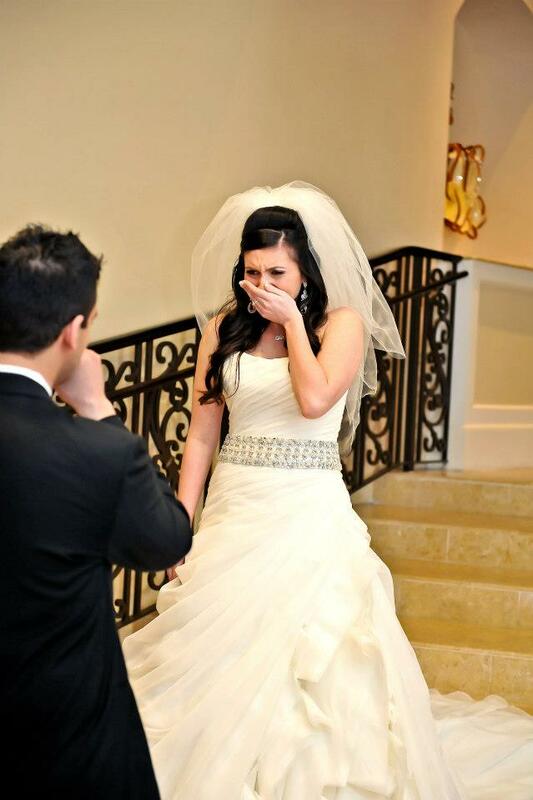 I love your first look pictures - they're so emotional and genuine! I know y'all are glad that you got those moments on camera. Cheers to 3 years! Happy Anniversary!! All of these pictures are so sweet, especially the first look! Love this!! Happy Anniversary! I loved scrolling through all these pictures and hearing the details from your big day! Definitely just teared up at those first look photos! These are so sweet - thanks for sharing and Happy Anniversary! Y'all are the cutest! Happy Anniversary! My pregnant hormones can't handle the sweetness of this post. I love the first looks...we did one as well and loved having that time, just the two of us. Your dress is beautiful and you looked gorgeous! Happy Wedding Anniversary! Such gorgeous pictures from your big day! I love this pictures of when you guys see each other for the first time! So sweet! So happy you shared! Happy anniversary!! We did a first look too and I LOVED how private that moment was. The Horah is always so fun to be a part of! Happy Anniversary!! You were a GORGEOUS bride and Gary was a very handsome groom. I love that you did a first look!! Those pictures are so amazing. Wishing you both much happiness always!! Happy Anniversary!!! I love looking back at your wedding!! We did a first look as well and I am so glad we did. It was a special moment for just us and then of course our photographer! Yep... still newlyweds :) Been fun to see how much adventure you've had in your lives on here. Prayers for a lifetime of more adventure & love. ... & those first look expressions? PRECIOUS!!!! Oh my goodness, HOW GORGEOUS! I love to hear and see all about it. Happy Anniversary! Aw happy anniversary you two! Those first look pics are amazing. You can feel the emotion. Happy anniversary!! What a sweet post. I love looking back at my wedding photos too! I wish I could relive it again and again. I really love that elevator picture! Your reactions are so heartful! Oh my gosh I love first looks but we didn't do one (since we got married in a courthouse), but they are so romantic to me to see! Is the Ketubah a cultural thing? I don't think I've ever heard of one until you mentioned it today. I like the concept and the idea of it though! I love your elevator kiss, that's something I'd do to Kyle. But knowing us it wouldn't be until that 10th time that we got it right. Wow you were a beautiful bride- happy anniversary!! I think I've followed your blog a little over a year now, and I can say he STILL looks at you like this in your photos together and when he makes an appearance here and there on snapchat. I think photographing that first look moment is actually so special. 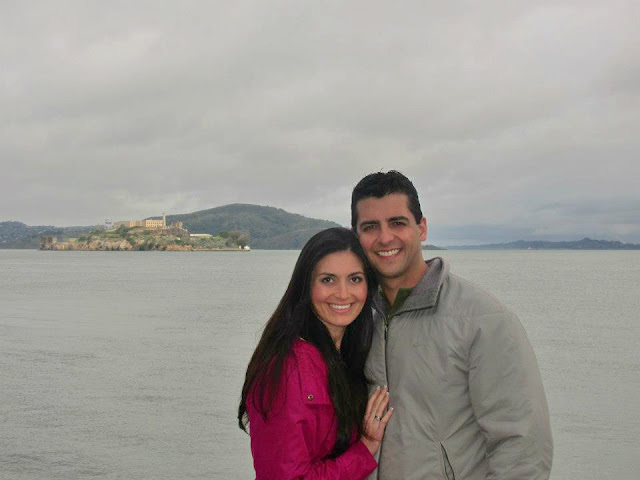 <3 Happy Anniversary Biana and Gary!!! Many more years to follow. One word: Beautiful! Oh, and Happy Anniversary! Awww so cute! Happy Anniversary! I hope I find love someday...it's looking not good right now! 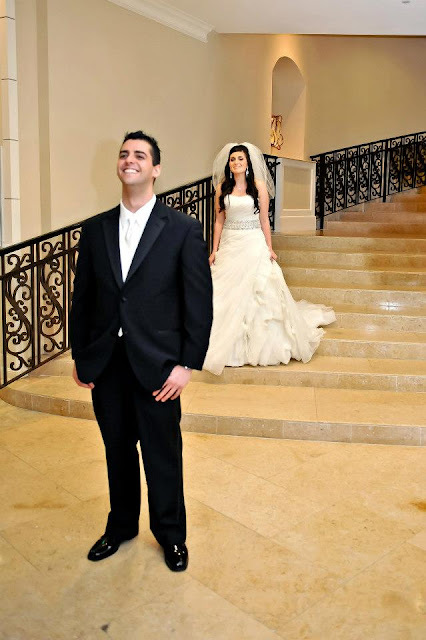 You were a stunning bride Biana! Such a beautiful wedding! I share the same love for weddings as you do! I wish Pinterest was around when I planned my wedding, I love that y'all did an elevator kiss, so cute! Happy Anniversary and to many, many more!! Awww loved seeing your wedding pics! Every detail is PERFECTION! Love your Ketuba! Happy anni, girl! Whew. Those first look pics are practically making me tear up! So perfect. These pictures are so, so gorgeous!! Happy Anniversary, and cheers to many more years together! Happy Anniversary! What a beautiful cake! 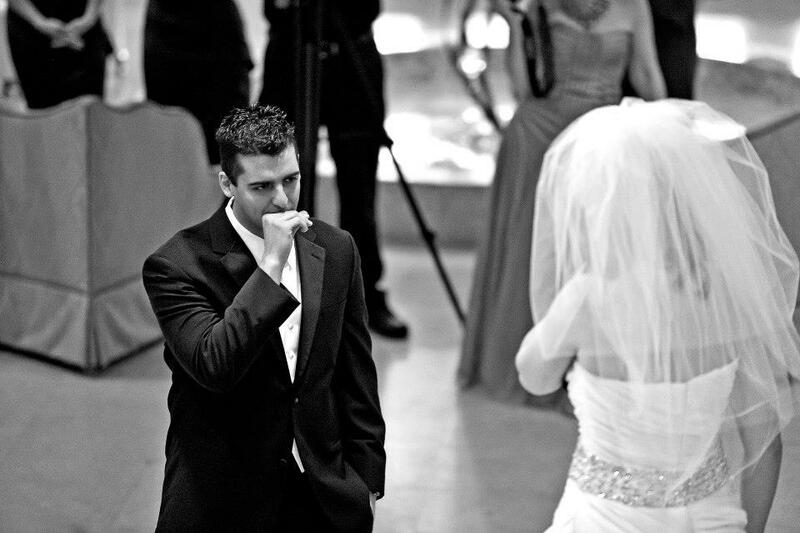 Awwww... your first look pic just made me tear up at my desk! So beautiful! Happy anniversary! Happy Anniversary!! You guys were both stunning! I loved all of the details! 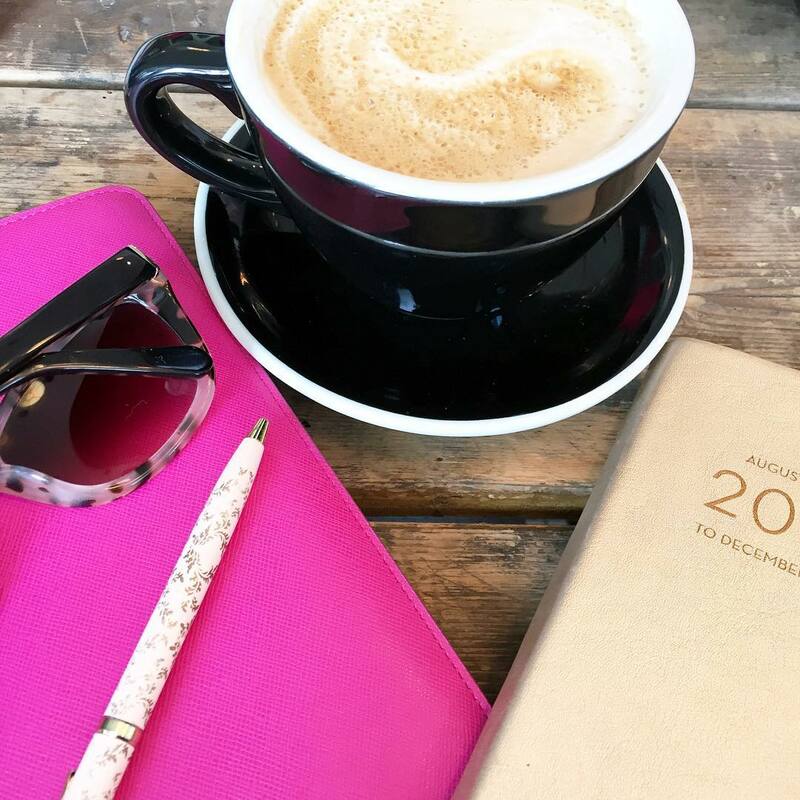 You should share a more in depth post of your wedding sometime (unless maybe you already have and I missed it). I could look at wedding posts aaaall day! ahhhh dying at your first look pictures! so sweet and you looked so stunning! It looks like such a fun celebration and I love all of the small details! happy anniversary!! That elevator picture is so gorgeous! I hope you have that framed somewhere in your house! Happy anniversary! 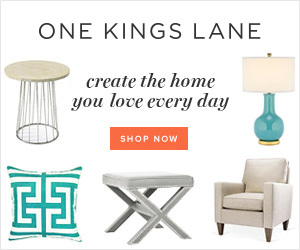 So happy to have found your blog! Aw this is sooooo sweet!!!!! Happy anniversary!!! Love all of your little details! And how sweet you guys recreate your first dance every year?!? Love!!! Have a wonderful day with your sweetheart! This is so sweet - happy anniversary, love birds! I love your first look photos - nothing but pure happiness. 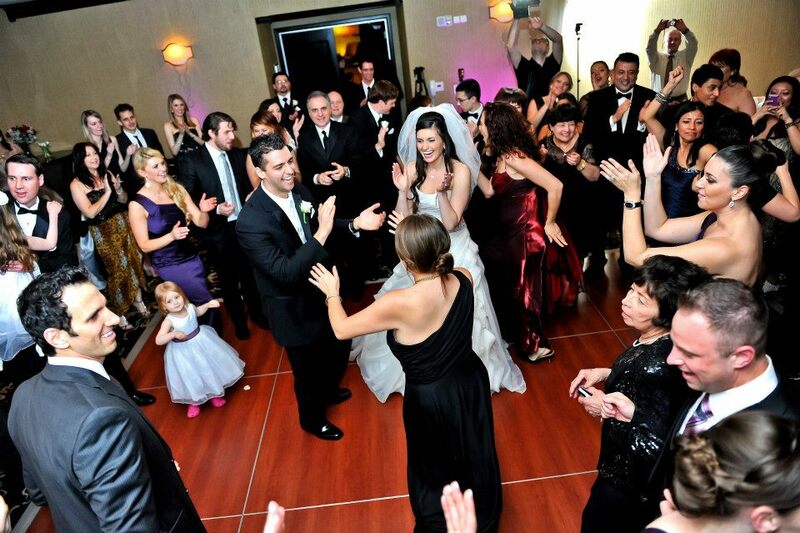 And, I love your tradition of recreating your first dance, I'm going to make Ryan do that now! Ok, so I'm literally tearing up at the sight of these photos and I must let you know that I don't tear up easily! These photos are SO beautiful, Biana! You can see the strong love and appreciation you have for one another. Happy Anniversary to you both, cheers to many, many more years of love and friendship between the two of you! I love this! Happy anniversary to you two - the joy on your faces is so obvious, your wedding looks like it was filled with both love and fun. Also love the tradition of recreating your first dance on your anniversary. I may have to borrow that tradition for ours this year, so sweet. Happy Anniversary! This is such a cute post. Your wedding dress is gorgeous! I teared up at the first look picture! SO so sweet! Happy Anniversary to you two! :) Loved getting to see all these photos -everything was gorgeous! Happy Anniversary! It's always so special to look back on your wedding anniversary and still remember some of the things that meant the most to you on that day. 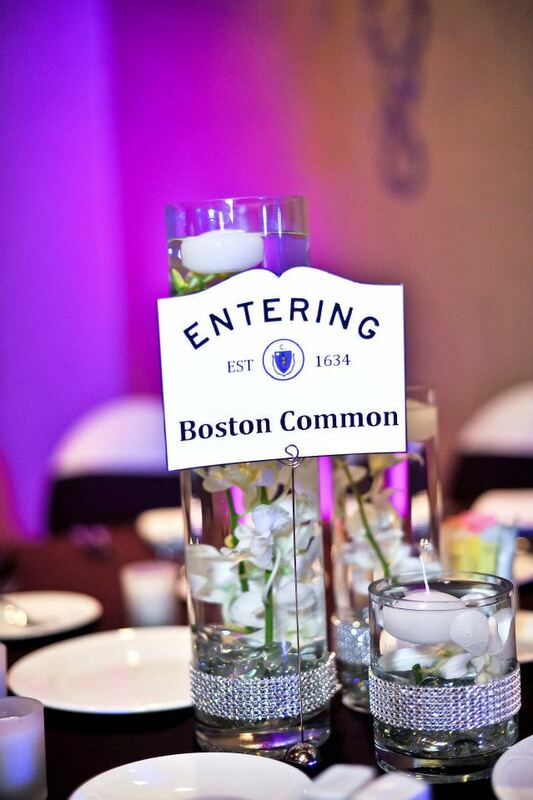 I love the fact that y'all included a lot of traditional things in your wedding, and that each table had something to do with Boston! Thanks for sharing the photos! We did first look too, it worked best for us. I adore the Horah photo of your face. You two are seriously a match made in heaven! I got a good chuckle at your expression of fear during the Horah! 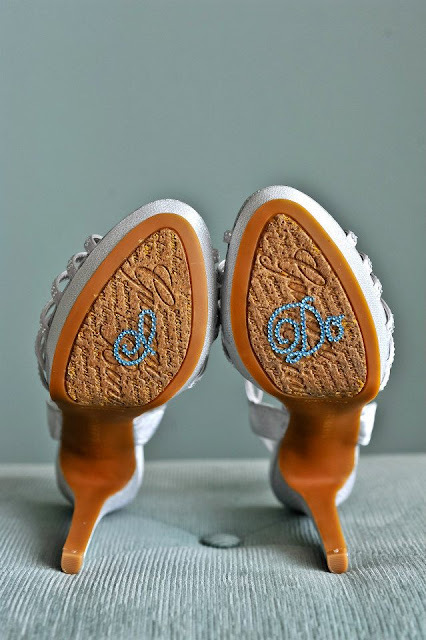 I also had those same blue rhinestones stuck to the bottom of my wedding heals. Happy anniversary! Love the photos of your first look! Your Horah picture is amazing! :) All of your details are so fantastic-I love that y'all did places that meant something to you in Boston! Happy anniversary! This is such a sweet tribute to your marriage! Awe thanks for sharing a part of your wedding with us. It was beautiful and that elevator photo is beautiful. Congrats on three years and so many more! oh my god - the pictures are beautiful! Ahhhh chills of the picture of you coming down the stares!!!! The Ketubah sounds so amazing!! I don't think I have ever heard of it but now I am like...ugh I want one! Haha! You were such a beautiful bride!!! Happy Anniversary!!! Happy anniversary!!! I am so happy for you guys and seeing these pics makes it feel like it just happened. I love the expression on both your faces as you see each other. You both look totally in love!!! What a beautiful bride you make! And a handsome husband you have. You both look outstanding. What a sweet post! Your wedding looks like it was AMAZING and you were a stunning bride! Happy Anniversary! Happy anniversary! You made a stunning bride! What a great day and great pictures to have forever! This was so sweet! I'm a huge fan of first looks - I think they're incredibly special. Happy Anniversary! May or may not have gotten a little teary eyed reading about this and how happy you are. I really want to do a first look, it just seems like such a special moment! Happy anniversary! Wow! Your wedding looks amazing!!! You look so beautiful. Great photos. Happy Anniversary!!! oh my gosh and i love the elevator pic! perfect. I had a very busy last week so I am doing some catching up. Loved seeing these wedding photos. I can tell you were involved in everything. You were a gorgeous bride and I loved the cake. That elevator kiss is hot. And we too did a "first look" which ended up being great. Happy Anniversary to you and Gary! Soooo sweet! Beautiful beautiful beautiful! I wish Michael and I did a first look! Happy belated anniversary!! !